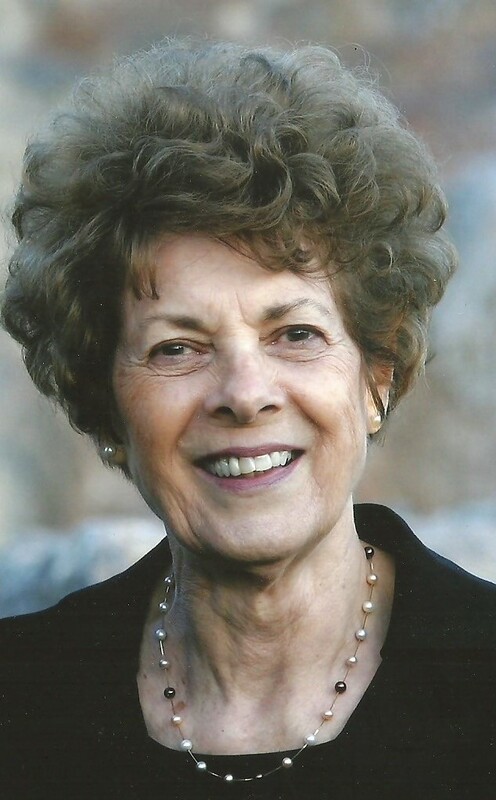 Norma Nielson Boren, age 87, passed away peacefully on March 18, 2108, surrounded by family. Born January 27, 1931 in Preston, Idaho to Frihoff Andrew and Jessie Chadwick Nielson. Norma attended East High School and the University of Utah. She met JD Boren on a blind date at the urging of his roommate and her friend. The couple married in 1952 in the Salt Lake Temple. Norma and JD enjoyed sixty-five years as partners and friends. They served in the Jefferson City Missouri Mission and the Mesa Arizona Temple. She remained devoted to her faith and family history work. As the wife of a USAF officer, Norma created a loving, inviting home for family and neighbors at each station. Norma was a good listener and made lifelong friends. She truly cared and served others all her life. She enjoyed cooking, baking, sewing, music and had quite a sweet tooth. Norma supported her children and grandchildren in church, school, scouting, music and other activities. Preceded in death by her parents and sister, Beverlee Williams. Survived by her husband, J Donald Boren; sisters, Lucille Jensen and Noreen Nielson; daughter, Ann (Steve) Doncaster; sons, Logan (Luisa), Jay (Donnelle), Jon (Amber), Brad (Staci) and Steve (Shelley); 17 grandchildren and 2 great-grandchildren. Funeral: Friday, March 23, 2018, 10 AM, Kimball Stake Center, 1266 S. 32nd St., Mesa. Viewing: Thursday, March 22, 2018, 6-8 PM, Bunker’s Garden Chapel, 33 N. Centennial Way, Mesa, and Friday, 9-9:45 AM prior to the service. Interment at National Cemetery of Arizona, 23029 N. Cave Creek Rd., Phoenix, AZ. The family thanks Julia and the Citrus Manor Staff for their loving care of Norma (Mom). In lieu of flowers, please consider contributing to your favorite charity. We were stationed at Reese AFB in Lubbock, TX from May to Oct 1959. JD was an instructor pilot and I was a student. What a super couple, Norma and JD. What a comfort to know they are sealed for eternity. Our love and condolences to JD and family. So sorry to hear of Normas passing and your loss. We enjoyed getting to know her while working with you both at the Mesa Temple. Our thoughts and prayers are with you and your family. My deepest condolences to the family for your loss.Truly heartbreaking. Our Heavenly Father gives us a beautiful thought when He promises us that soon death will be “swallowed up forever.” (1 Cor. 15:54) Along with this, God also guarantees that ones who have died will be able to live again. (John 5:28,29) I hope these encouraging scriptures can bring you some comfort during this difficult time.